Alice Rohrwacher’s supernatural sun-drenched folk tale of the birth of modern Italy is as sublime as it is beautiful. 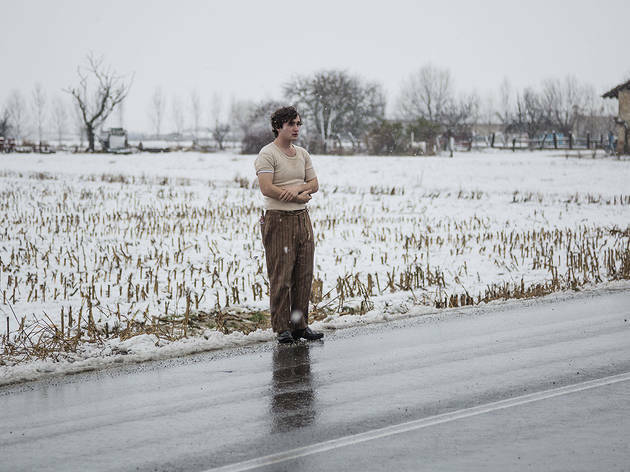 Following on from her 2014 Cannes Grand Prix winner ‘The Wonder’, Italian writer-director Alice Rohrwacher returns with a transcendent time-twisting fable, ‘Happy as Lazzaro’. Set in the confines of a rural Italian village, the film follows a family of sharecroppers who live under the tyrannical yoke of a corrupt tobacco magnate. For the first hour, we watch the daily activities of an extended family in their pastoral home of Inviolate. They live in a cramped, crumbling house with a solitary electric bulb, tirelessly harvesting crops in order to please the self-styled ‘Queen of Cigarettes’, the Marchesa Alfonsina de Luna and her cronies. At first, the family appear to be living in the early twentieth century, dressed in traditional peasant clothing and with few modern amenities at hand. With the arrival of the Marchesa’s dandyish son, Tancredi (Luca Chikovani), sporting a T-shirt and mobile phone, we slowly realise that all is not what it seems. The family have been hidden away from the modern world all their lives. The rebellious Tancredi forms a bond with the child-like Lazzaro (Adriano Tardiolo), who is eager to please his new master. 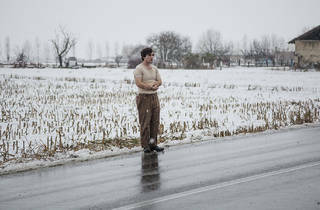 Tired of his mother’s demands, the ever-imaginative Tancredi comes up with a plot for Lazzaro to kidnap him while hiding out in the surrounding hills. This comedic wheeze accidentally triggers a series of events that breaks the Marchesa’s hold over the family, thrusting them out of their serf-like existence into a supposedly better life in the bustling city, where they end up living on the streets. Rohrwacher constantly manipulates time in ever more playful ways, often to comic effect. As with ‘The Wonder’, she shoots the film on the old-timey Super 16mm, harking back to a bygone age of cinema with warm, slightly yellowed images. Tardiolo meanwhile proves to be a revelation, capturing the sweet, saintly quality of Lazzaro’s character. He’s perfectly matched with Chikovani’s outlandish performance as the petulant fop. With a rich, textured plot in which things are never quite what they seem, Rohrwacher paints a magical portrait of the decay of rural life, intertwining the past and the present in a work that is as exhilarating as it is sublime.